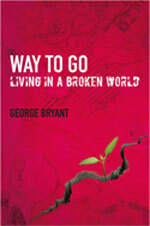 These books can be obtained direct from the author or through www.daystarbooks.org, unless otherwise stated. 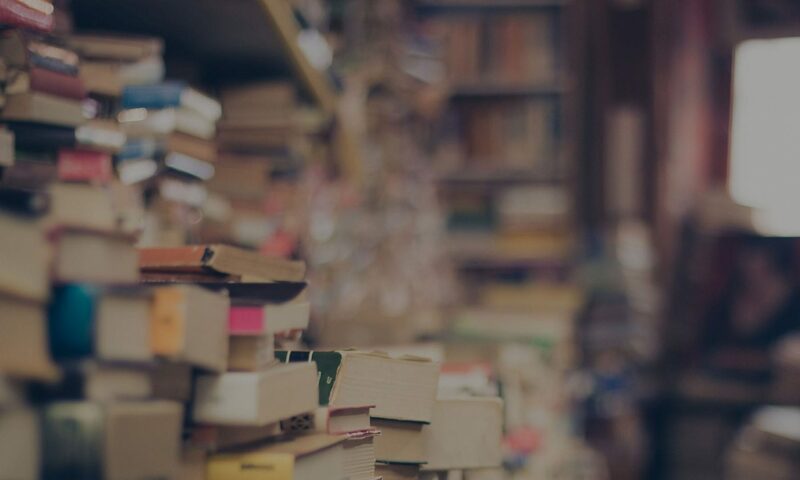 Special deals can be negotiated for two or more copies of a single title or for multiple copies. Payment options will be provided. What in the world are human beings doing on this unique planet? What is our future as human beings? The stories of 15 inspirational Kiwis who are making a real difference to the way we live. Some are making housing affordable and offering offering comprehensive care services. Others are saving teenagers from addictions. A doctor and his wife are running a unique medical clinic. Some stories portray people improving race relations, making workplaces safe, and helping transform low socio-economic areas. What motivates these people to want to improve society? What sorts of people are they? 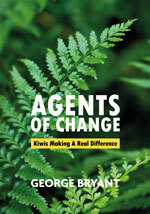 The last chapter outlines the characteristics of change agents. 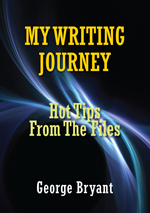 The personal story of how a student who hated writing essays became a prolific, successful author. A glimpse into George Bryant's writing failures and successes, with 38 useful tips for potential writers. 46 pages, white offset, gloss cover Published by Whau Publications, PO Box 7031, Maungatapu, Tauranga 3112 Retail Price: $10.00 plus $5 postage. The biography of the inspirational, visionary founder of Bethlehem College, Tauranga – the largest school of its kind in Australasia. Graham was also instrumental in establishing a number of other Christian schools. 234 pages, 25 pics, white offset, gloss cover Published by DayStar Books, 2016 Retail Price: $26.99 plus $5 postage. Christians have made a positive difference to our nation since its foundation. Motivated by faith they have put a human face on the principle of ‘loving your neighbour’. They have protested against injustices and gone the extra mile. 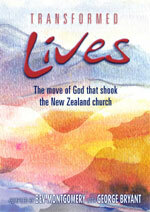 This book outlines the profiles of a few of the thousands of Christians who are moving and shaking New Zealand today, including a judge, leading scientist, social worker, journalist, city councillors, doctor, educationist, racing driver, businessman, youth worker, prison reformer, city missioner, and navy commander. Read about why and how they are making a real difference among the poor, with at-risk youth, in housing, the media, education, health, parenting, business... and across the community. As a country we are much the richer because of them. 192 pages, 21 pics, white semi-gloss, gloss cover Published by DayStar Books, 2015 Retail Price: $27.99 plus $5 postage. Do you think there is too much political correctness? What can we do about the widening gap between the rich and the poor? Why are so many families breaking up? What can we do about violence in our society? Are we racist? Are you worried about the rise of ‘big brother’ and the invasion of your privacy? Do the moral issues surrounding the latest experiments in baby-making concern you? 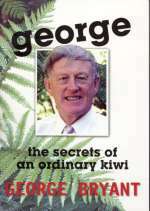 George probes these and other issues which plague NZ society, hurt so many people and cost the country billions of dollars. He comes up with some startling facts and results. 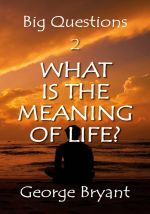 He provides valuable insights and solutions, and outlines the need for a new kind of politics, and an urgent concentration on the ‘third dimension’ of human beings – their spirituality. 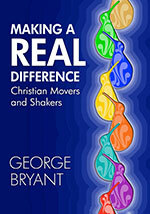 “As usual, his chatty writing style, occasional anecdotes and thorough research make for a thought-provoking but easy read.” (NZ Baptist) "George tackles key social issues head on, and with vigour...He passionately and cogently spells out the problems and their negative impact on us, while backing up his opinions with evidence from research. 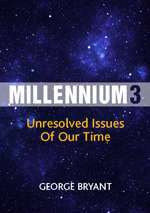 Millennium 3 is well-researched and packed with challenging facts that should cause its readers not only to think seriously about these current issues but also about doing something about them. As George says, “Even a tiny change for the benefit of others will make a difference for someone somewhere.
" The book will appeal to a wide range of readers." (Janette Busch, author and editor) 212 pages, white offset, gloss cover Published by DayStar Books, 2013 Retail Price: $27.99 plus $5 postage. What is the way to go in the 21st century? How can we live better? How should we treat each other? George examines the main sayings of the greatest teacher in the world about how to relate to one another. He examines what Jesus Christ really said about how we should live. He concludes that if we were more radical in our thinking and behaviour our lives and those around us could be transformed. This book is for everybody. It is very readable, eye-opening and challenging. What is it about the human spirit that enables people to overcome great personal disasters, and move on to help others? How do you cope when you are born with cerebral palsy or spina bifida, or paralysed as the result of an accident or contract a terminal disease or go blind? Here are stories of ordinary people who have struggled against the odds and not just survived but overcome. 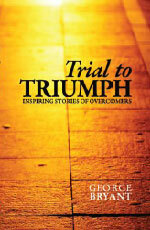 The book examines the ‘undaunted human spirit’ and what motivates people to triumph over their trials. You will be inspired. You will identify in some way with the stories you read. You will find practical ways of dealing with life’s traumas. And you will wonder at the amazing resilience of the human spirit. God is gradually disappearing from the New Zealand social scene in favour of secular, neo-pagan beliefs and practices. If we project present statistical trends Christianity will be only a small rump by the middle of the 21st century. Yet our society has been influenced considerably by Christian values throughout its history. What would happen to our society if Christian values were wiped out? How would we live? Would secular atheism rule, or Buddhism or Islam or what? George makes a plea for a renewed, better society based on a set of six core values, values with which all social groups could agree. They provide the key to developing a ‘good’ society. What we need is the collective will to implement them. 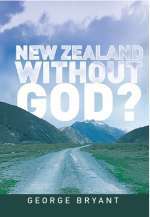 What Some Have Said About NZ Without God? The autobiography of an ordinary Kiwi who became a political leader, high school principal, city councillor, ordained minister, Justice of the Peace, prominent Rotarian, author, publisher ....and more. All who have read it have said it is ‘hard to put down’! 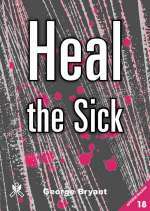 This 42-page booklet provides practical help on how to go about healing the sick, from a Christian perspective, stemming from George’s personal involvement in the ministry over recent years. He gives cases of actual healings and gems of wisdom. Some key questions are answered, such as: Why does God heal people today? Why are some people not healed? What do we actually do when we pray over someone? What about the terminally ill? 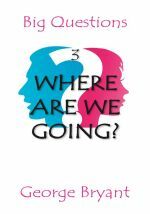 George has written further publications in the same series: Euthanasia (1997, to be updated); Signs, Spells and Spooks (Christians and the occult 1999); Is There Life After Death? (2000) He was general editor for another15 booklets. The following titles are out of print but available through libraries. The Pop Scene (Life/Language Series), Hodder and Stoughton, 1973, 16pp. George was a panel member for four other booklets. Numerous political pamphlets, editions of manifestos, articles for newspapers and magazines on a wide variety of topics, such as euthanasia, the Church, the economy, politics, culture, education. I’ve always had an insatiable desire to help improve society. 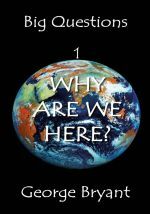 I write, and publish, to inspire - to enable readers to think about and clarify what’s happening to the world around them and their place in it, always attempting to provide suggestions for moving forward. Disagree if you wish, but if only one person gains benefit from anything I write my spirit is content.